Available with optional temperature control, the MIKRO 200 R version cools down to +4°C in just 10 to 15 minutes using the Fast Cool function. The MIKRO 200 offers bio-containment for the Microliter Tube Package 24, Microliter Tube Package 30, Cryo Tube package and Spin Column package. Shown below are the most common application packages for the MIKRO 200 | R centrifuge. Custom packages are available. Please inquire for details. The MIKRO 200 Microliter Tube Package 24 comes complete with everything you need to perform your application. This includes the MIKRO 200 or MIKRO 200 R centrifuge, 24-place fixed-angle rotor, adapters for 1.5 mL tubes and an optional bio-containment lid. In addition to this package, many a-la-carte options are available, contact us for more details. The MIKRO 200 Microliter Tube Package 30 comes complete with everything you need to perform your application. This includes the MIKRO 200 or MIKRO 200 R centrifuge, 30-place fixed-angle rotor, adapters for 1.5 mL tubes and an optional bio-containment lid. In addition to this package, many a-la-carte options are available, contact us for more details. 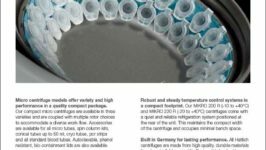 The MIKRO 200 Microliter Tube PCR Strip Package comes complete with everything you need to perform your application. 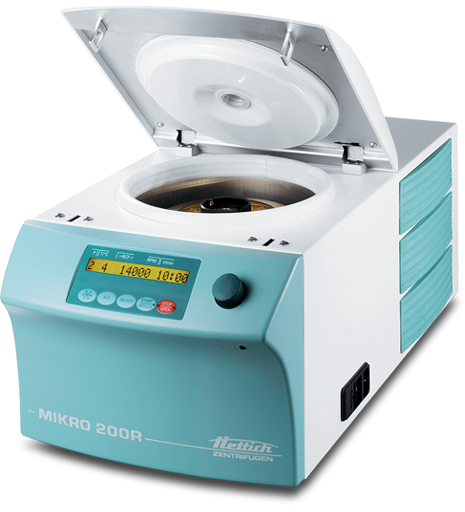 This includes the MIKRO 200 or MIKRO 200 R centrifuge and fixed-angle rotor. In addition to this package, many a-la-carte options are available, contact us for more details. The MIKRO 200 Cryo Tube Package comes complete with everything you need to perform your application. 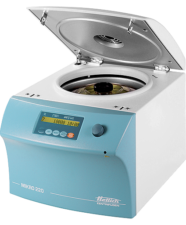 This includes the MIKRO 200 or MIKRO 200 R centrifuge, 20-place fixed-angle rotor and optional bio-containment lid. In addition to this package, many a-la-carte options are available, contact us for more details. The MIKRO 200 Spin Column Package BC comes complete with everything you need to perform your application. This includes the MIKRO 200 or MIKRO 200 R centrifuge, 24-place fixed-angle rotor, adapters and bio-containment lid. In addition to this package, many a-la-carte options are available, contact us for more details.